يحظى فندق Mountain Grand Guest House بمكان متميز في محور غرامبيانز سياحة, برامج عائلية في منطقة هولز غاب الفاتنة. يمكن من هنا للضيوف الاستمتاع بسهولة الوصول إلى كل ما تقدمه هذه المدينة النابضة بالحياة. كما يمكن الوصول بسهولة إلى ‪The Balconies‬. يعمل Mountain Grand Guest House على ضمان إقامة مريحة لضيوفه من خلال خدماته الممتازة وحسن ضيافته. يقدم الفندق مرافق مخصصة لذوي الاحتياجات الخاصة, تخزين الأمتعة, واي فاي في المناطق العامة, صف السيارات, تأجير سيارات لضمان الراحة القصوى لضيوفه. في Mountain Grand Guest House غرف نوم يزيد عددها عن 10 صممت بذوق وعناية لتوفر لك كل وسائل الراحة . بعضها يحتوي أضاً على تلفزيون بشاشة مسطحة, اتصال لاسلكي بشبكة الإنترنت (مجاني), غرف لغير المدخنين, مكيف هواء, مكتب. صممت خدمات الاستجمام في الفندق والتي تتضمن حديقة لمساعدتك على الاسترخاء والراحة. مهما كانت دواعي سفرك فإن Mountain Grand Guest House هو خيار ممتاز لإقامتك في غرامبيانز. Pleasant, in a good location, courteous service, I would rate it a 3 star hotel. Waited 10 minutes to check in as staff no where to be found. Hotel outdated and in poor condition. Room dusty, light fittings full of dead bugs, door to ensuite didn't close. Walls paper thin so we could hear neighbors clearly. No TV in room, TV in the communal living space had no reception, no DVD player as advertised. Only 6 choices for main meal in restaurant, everything deep fried, no vegetarian options. Tasted awful! Breakfast very poor, only 2 cereals and white toast, cold filterd coffee and tea. Staff unattentive and never asked us how our stay was. Would have left but went on holiday weekend and everywhere else was booked out. Awful experience. Horrible. The room was tiny. It had no television or fridge. The 'wireless' access it proclaimed to have did not reach the room I was allocated. I expect more. We chose the hotel from reviewing the photo's, proximity and the indication that it was first class in all aspects,despite some unflattering reviews of past patrons. Unfortunately, we now agree with those reviews and believe the premise to be misrepresented on the Internet. The main building is in a state of disrepair in many areas, our room was very small and smelt musty. 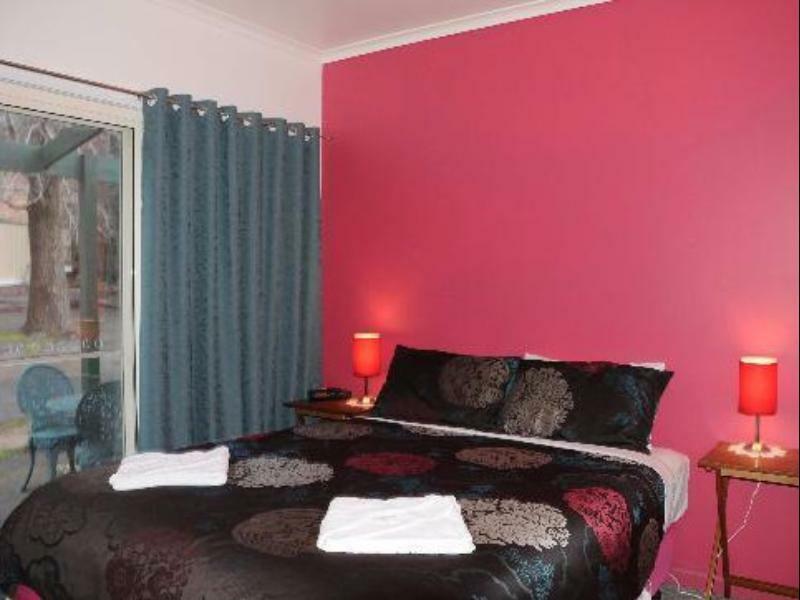 However, the premise is centrally located and close to all shopping and other dining premises. One night was enough, and if we had been staying in the area longer, would have sought other accomodation immediately. Had a good night in budget room. Everything seems to be very good except the noise from the air cond. 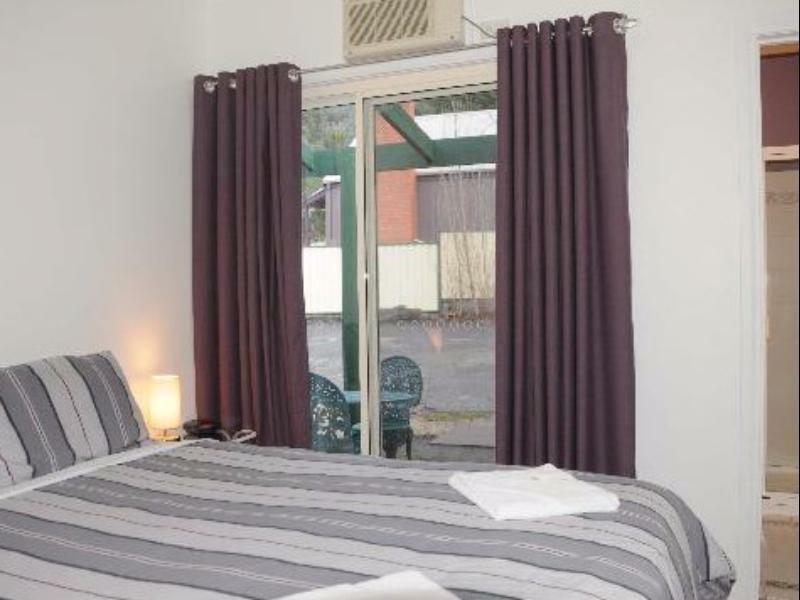 hotel liegt zentral im ort halls gap. die zimmer sind recht klein und hellhörig, dafür stehen ausreichend aufenthaltsräume mit tv zur verfügung. im angeschlossenen restaurant kann auf wunsch frühstück und abendessen bestellt werden.